Good thing Apple didn't ship this. The original iPhone nearly came with a digital click wheel that mimicked the iPod’s interface, according to video of an alleged prototype running the software that has not previously been made public. Former Apple engineers confirmed in the past that Apple created a click-wheel-based solution for the iPhone’s software during the early stages of development, but until now, no one outside Apple had seen what it looked like. Apple reportedly dubbed the click-wheel software “Acorn OS” internally. The iPhone prototype shows an acorn on the boot screen instead of an Apple logo. 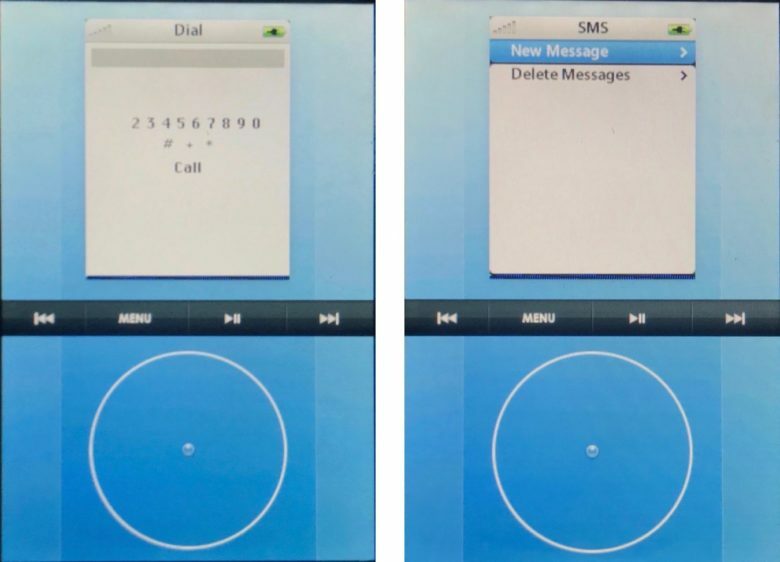 Notorious iPhone leaker Sonny Dickson got his hands on the prototype click-wheel device and discovered that the UI was nearly identical to the one found on the iPod. The features on Acorn OS were pretty limited in the prototype build. There are options for Dial, SMS, Music, Contacts, Photos, Games, Calendar, Notes and a few other simple apps. There’s no option for Safari or another web browser, which was the iPhone’s killer feature when it launched because that was the only way to access third-party apps. Few other details are known about the rare prototype iPhone. Dickson claims it has an aluminum chassis, multi-touch compatible screen, 2G connectivity and Wi-Fi radios. While we can’t verify its authenticity, it does look similar to drawings in a patent Apple filed in 2006.